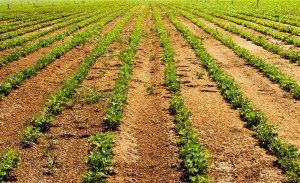 In the summer of 2012 the Continental U.S. faced its worst drought in recent history. Dry conditions across the Midwest decimated many farmers' grain harvests. Illinois farmer Scott Block was among the victims of the drought and suffered severe crop losses, particularly among his corn and soy crops. But thanks to his on-farm composting program, Block found a way to cut his losses in the aftermath of the drought, and in the case of a late planted oat forage, he discovered the potential of compost to increase the yield of forage crops on his farm. With high levels of digestible calcium, protein, and fiber, Alfalfa is one of the most important and widely-grown feed crops in the U.S., ranking as the third most valuable crop behind only corn and soybeans. Whether they're producing it for their own livestock, or as a cash crop, it is important for farmers to maintain healthy plants and profitable yields. 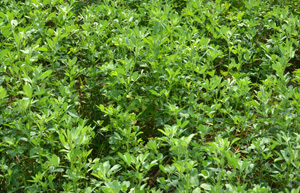 A typical alfalfa planting lasts for several years, making healthy, long-lived plants even more important. 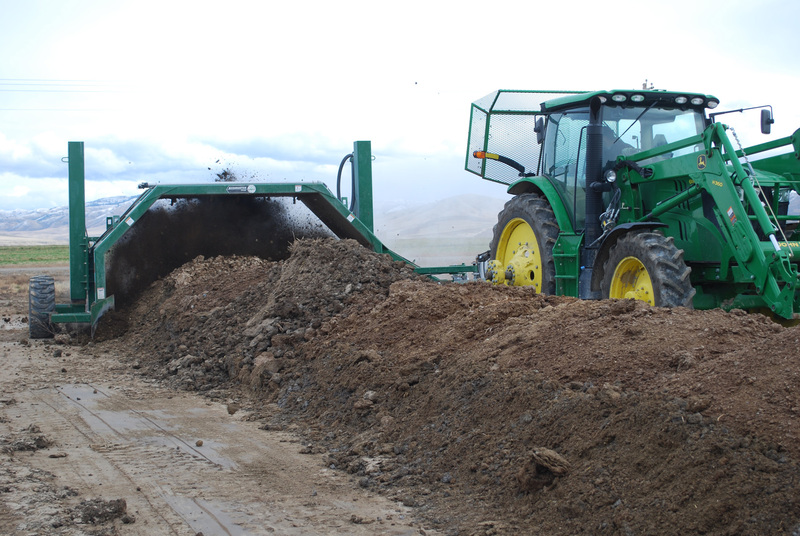 An Idaho dairy farmer has found that by composting his manure and dairy waste, he's able to transform it into a rich, balanced fertilizer to enhance his alfalfa crop. A dairy farm relying on alfalfa for high quality feed is composting to cut fertilizer costs and seeing dramatically increased alfalfa yields. This is good news for dairy farms feeling the pinch of high fertilizer and feed costs. 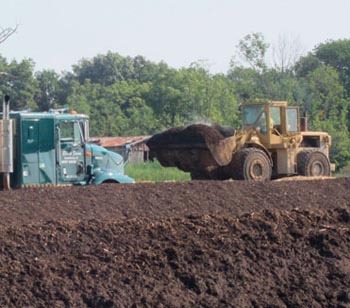 When Gary Smith and his son Jason Smith began composting seven years ago, it was to fulfill their farm's need for organic fertilizer. They partnered with a cattle feed lot which provided them with huge volumes of manure and spent bedding as raw materials for their compost. After purchasing an Aeromaster compost turner and completing a training session with Midwest Bio Systems, the Smiths were soon producing high quality compost which boosted the yields on their farm. Neighbors began to take notice. Today they have a booming business making and selling compost to other farmers, organic and not. Jason Smith has already hauled compost as far as 60 miles for some customers, and the demand is such that he takes orders for compost up to four months in advance. Alfalfa growers are one group of customers who keep coming back for more. Few in the modern agricultural industry will argue against the necessity of fertilizer to remain competitive, boost profits, or even produce at all. One can spend hours debating the pros and cons of organic versus inorganic, liquid or solid, and various application methods, but ultimately what matters most to the farmer struggling to stay afloat is that the product is affordable and works. High-quality compost is an organic fertilizer on par with costly synthetic alternatives, providing the full range of micro and macro nutrients needed to produce abundant, robust crops. This is precisely the commodity in demand by farmers across the nation - compost making has the potential to be a very profitable venture, literally transforming waste to wealth. The cost of dairy bedding is on the rise and it is not expected to drop any time soon. The pinch is felt by farmers like Brent Webb who runs a 1,200 cow dairy with his three brothers and beds his cows in open corrals and freestalls. Webb has an edge over rising costs, however. He's found that his composting program has given him a way to recycle his dairy bedding almost endlessly to bring him significant savings and improved cow health. If you're a dairyman, odds are, you have manure. 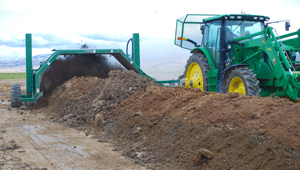 Until Idaho farmer Mark Webb turned to composting he had too much of it. 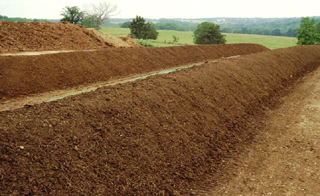 Webb used to spread his raw manure directly on his fields prior to planting, which “stunted” and “hurt” his crops. “The crops just did not grow as well from the manure that was straight off the corrals,” he said. In Idaho cousins Brent and Mark Webb both own and operate large dairies. Brent has a herd of 1,200 cows, while Mark has 1,800. 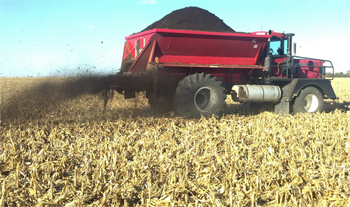 Raw manure has always been on hand in large quantities, and both Brent and Mark used to spread it on their fields until they noticed it was having detrimental effects on the health of their crops. They found a solution in composting. Composting has transformed what was a waste product into a high quality fertilizer asset, produced using only ingredients from their farms. This helps them become independent from external inputs. With rising feed and fertilizer costs and a fluctuating commodities market, 2012-2013 is shaping up to be a hard year for dairy farmers. Droughts in the Midwest have drastically increased feed prices, and forced some farmers to switch feeds, from corn to wheat. Fertilizer prices continue their upward price trend, making it difficult for dairies growing their own feed to be profitable. 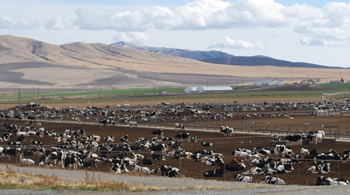 Yet two dairy farms in Idaho have found a way to reduce costs and become independent from buying fertilizers, by producing their own on the farm. And they're doing it through composting. Remember when gasoline used to be below $2.00 a gallon? (Some of us can remember $0.30 a gallon, but we aren’t telling). Today, it costs twice as much to fill your tank. The sad truth is, if you don’t want to sit by the side of the road, you have to find the extra money somewhere and that means you have less money for other purchases. The cost of fertilizer is going in the same direction. Chances are, of course, that you have already experienced that “in the belly” worry about how much more money fertilizer costs. You are dependent on fertilizer and you have no control over the price. Like the gasoline you need to run your cars and trucks, you probably think you don’t have any choices. How would you like to find a new way to make money? Imagine using something you are already doing to create more profits, and how about being able to help others at the same time? Where we live, a lot of people are pretty enthusiastic about how much better organically grown produce tastes. Organic farming is a hot topic. There are a lot more sustainable farmer’s markets popping up. Let’s face it; Whole Foods certainly isn’t hurting for sales even while charging much higher prices than the local supermarket.